Thomas Mills, a longtime political consultant and founder over at Politics NC, says he has a suggestion for North Carolina leaders, after government reform advocates and Democrats filed a new lawsuit that takes aim at the state’s gerrymandered legislative districts. According to Mills, lawmakers should call for a constitutional amendment that would create a bipartisan redistricting commission. 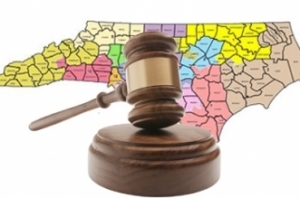 North Carolina legislative districts are headed back to court. There are so many lawsuits about redistricting and gerrymandering that it’s hard to keep track. This one will go to state courts where Democrats just won a solid majority on the Supreme Court. To recap a little bit, and this is just from memory, the Congressional districts need to be redrawn before the 2020 election because a three-judge federal panel found them to be unconstitutional. Legislative districts in Wake County are already supposed to be redrawn because the legislature tried to make them more Republican after ordered to redraw other districts. Apparently, the legislature took it upon themselves to redraw any districts they thought needed more protecting, whether they were found unconstitutional or not. In doing so, they violated a constitutional provision that does not allow redrawing districts between Censuses. This is the third decade in a row that North Carolina has undergone redistricting chaos. For all their squealing, Republicans sued as often as Democrats and Democrats’ maps weren’t nearly as biased as those drawn by Republicans. Polls show North Carolinians know more about redistricting than people in other states. It’s time to stop. So here’s a suggestion: Republicans in the legislature agree to put a constitutional amendment on the ballot in 2020 that will put in place a redistricting commission appointed by both Democrats and Republicans. They should set strict rules for redistricting that allow for little political jockeying. In exchange, Common Cause and its allies will drop ALL redistricting lawsuits leading up to the 2020 election. We can get through the next two years without worrying about drawing new district lines and look forward to a decade free of court cases about gerrymandering. It’s time legislators put the people of North Carolina ahead of their political ambitions. We’ve had enough of extremist ideas and legislation that embarrasses our state. We need to return to our reputation of moderation and common sense. A bipartisan agreement to end gerrymandering would be a great place to start. To this point, top lawmakers like Rep. David Lewis, the Harnett County Republican who’s spearheaded the GOP’s much assailed redistricting, have rebuffed calls for an independent redistricting process. Yet, as the new suit’s litigants point out, Democratic General Assembly candidates in North Carolina took about 51 percent of the vote in this year’s elections, but were slated to win only about 44 percent of the seats. Democrats broke the Republican veto-proof majority in the state House and Senate, but Republicans retained control in both chambers. Federal judges have already ruled against state lawmakers in a similar lawsuit challenging the state’s congressional districts, and North Carolina awaits word on whether legislators’ appeal will be heard by the U.S. Supreme Court. In the meantime, the new suit would challenge state legislative districts in state courts, a challenge that may ultimately be heard by the state Supreme Court. With this year’s election of civil rights attorney Anita Earls, Democrats hold a strong majority on that court. Policy Watch’s Melissa Boughton has been dutifully keeping track of the winding lawsuits challenging North Carolina’s tortured maps. Be sure to follow her work. While I might support an amendment to create a Redistricting Commission, the people of NC should not have to endure another election with illegal maps.Voters must feel like their voice matters and after a decade of voter suppression, through gerrymandered districts, legal remedies should be pursued. We are here because the current legislature cares more for power than democracy. Let the suits proceed.